It wasn’t supposed to unfold like this. 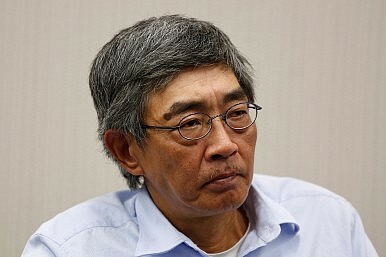 The mainland Chinese authorities expected Lam Wing Kee – one of the five “missing” booksellers accused by the authorities of running an “illegal business operation” – to quietly return to Hong Kong, and otherwise remain silent, as three of his colleagues have done. Lam blew apart the Chinese authorities’ tenuous tale of voluntary cooperation. Instead he gave us a blow-by-blow account of the abusive tools that have become Chinese authorities’ modus operandi to silence critics since President Xi Jinping came to power in 2012. His tale describes a pattern of abusive tactics used increasingly by authorities – a pattern that Amnesty International has documented in a range of cases in recent years. These tactics emphasize secrecy, isolate the accused, invoke non-existent crimes, and strike fear in the individuals as well as the broader community of critics and activists. First, Lam alleges that right after he was detained in Shenzhen – a Chinese city bordering Hong Kong – he was blindfolded, taken by train 14 hours away to the coastal city of Ningbo where he was held in “residential surveillance” – a notorious form of secret detention. “Residential surveillance in a designated location,” a misleading term which erroneously implies a more lenient measure of control, actually allows the police to hold criminal suspects for up to six months outside of the formal detention system – without access to anyone outside. The police are supposed to notify family members within 24 hours of imposing the measure, but don’t need to tell them where their loved ones are or the reason for their detention. Lam explained he was detained in a small room where two individuals monitored him around the clock for nearly five months. Lam said that authorities interrogated him approximately 20-30 times with repeated questions while he was there. He spoke of his “mental torture” and how he contemplated suicide. Scores of lawyers, as well as activists, Christian pastors, and even a foreign NGO worker have been silenced using this form of secret detention. Isolating the accused makes it easier to “break” suspects through prolonged interrogation, or simply scare them into submission. The UN Committee against Torture recently pushed China to urgently repeal the parts of the law that allow this form of incommunicado detention which puts individuals at great risk of torture and other ill-treatment. Lam recalled how he was forced to sign a document saying that he would not contact his family or hire a lawyer, another method favoured by the authorities – denying detained individuals access to lawyers of their choice. Zhou Shifeng – director of the Fengrui Law Firm in Beijing, which is at the centre of the crackdown against lawyers – is accused of running a “criminal gang” to “subvert” the Communist Party. He also signed a letter dismissing his lawyer and authorities later even forced Zhou Shifeng’s brother to formally dismiss the lawyer chosen by the family. All but two of the 18 remaining lawyers and activists still in detention from last year’s sweep have been denied the right to see a lawyer. Another common tactic are so-called pre-trial TV “confessions” – Lam alleges that a public statement he made – was in fact scripted by the authorities, and that he had no choice but to say it. Lawyers, journalists, businesspeople, and NGO workers detained by the Chinese authorities have all made similar television “confessions” in recent years. Such televised “confessions” diminish greatly any chance of receiving a fair trial. These set-piece propaganda broadcasts are a useful weapon to strike fear into groups who challenge the Communist Party’s warped version of the rule of law. Finally, in deciding to break his silence about his detention, Lam said he had a unique responsibility to do so since, unlike the other booksellers, he had no immediate family members in mainland China. The implication of this statement was obvious: The authorities are fully willing to use coercion and threaten loved ones if necessary. Bao Zhuoxuan, the teenage son of detained lawyers Wang Yu and Bao Longjun, has spent nearly one year under close surveillance. With both his parents already detained, Bao Zhuoxuan was captured fleeing China to study abroad. Now he is “collateral” in the authorities’ attempts to break his parents. Most people would say or do anything to spare their children from suffering. As the one-year anniversary of the crackdown on the lawyers approaches, Lam Wing Kee’s story has exposed a cornerstone of Chinese authorities’ pattern of repression – one that is deeply at odds with the image of a country governed according to the rule of law that President Xi Jinping is so eager to project. Rather than doubling down on censorship and propaganda, Xi must end the use of dubious legal provisions and unchecked police powers to justify what both the Chinese public and the rest of the world recognize for what they really are – human rights violations against peaceful critics and activists. It is these lawyers and activists who are true guardians of human rights and the rule of law, and who must be freed to continue their work. William Nee is China Researcher at Amnesty International.